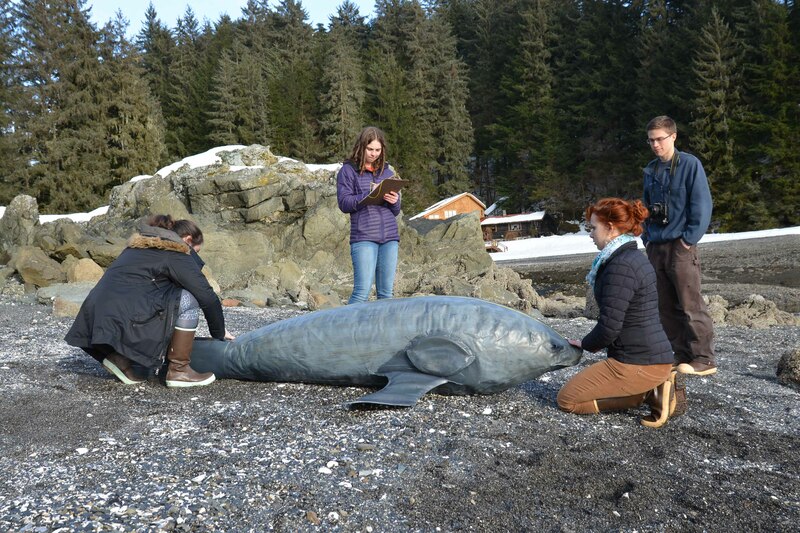 For the past 20 years The Whale Workshop has been developing life-sized water-filled Rescue Training Marine Mammal models, based on the air-filled ones, but with heavy duty details to take the extra weight, and enhanced features like folding flippers, blowholes, etc. 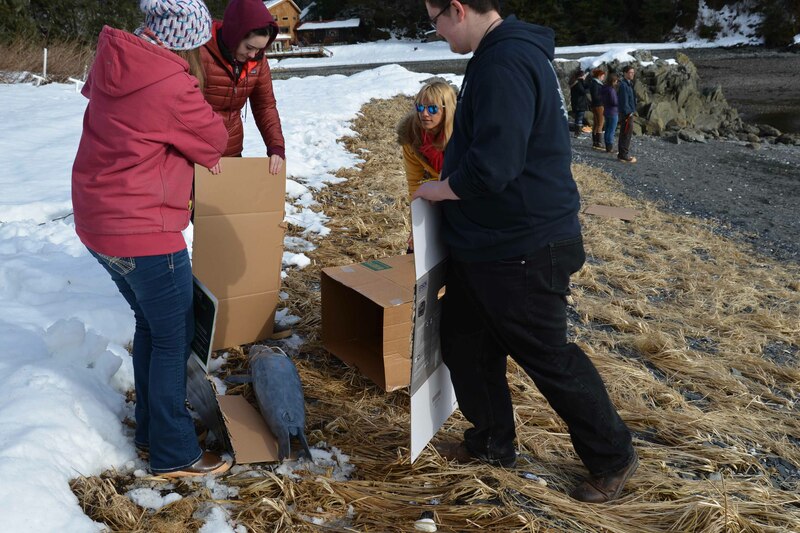 These are used to train volunteers, project officers, rescue services personel, vets, college students, etc, in handling marine mammals and in stranding responses, and The Whale Workshop makes most of these water filled creatures including Dolphins, Porpoises, and Seal adults and pups. We dont offer the training, but other organisations do, such as BDMLR - British Divers Marine Life Rescue in UK and overseas, IFAW , NOAA and various stranding networks in USA, and others worldwide. We make the life-sized models. This Photoalbum has details of Rescue Training models made in past 20 years, including recent orders for a Porpoise for Cornwall Wildlife Trust to join the Bottlenose Dolphin made for them 10 years ago. and a Bottlenose Dolphin for Delfacenter in Russia. 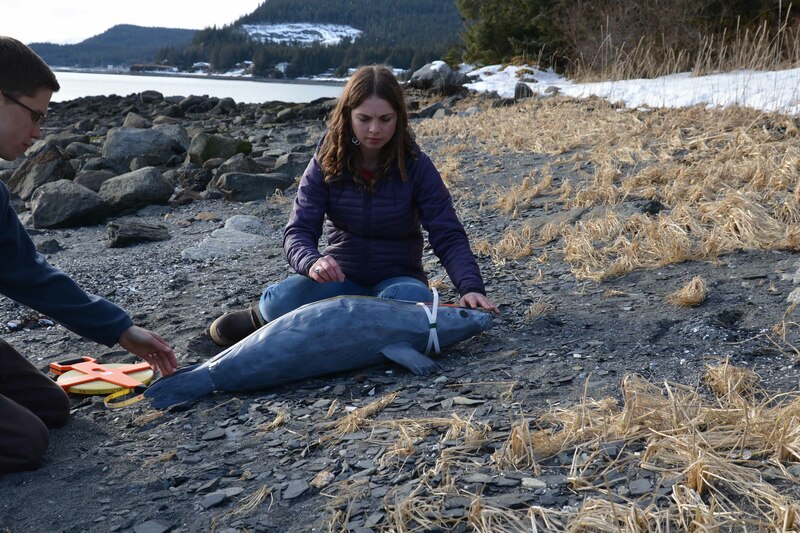 This will add to the Black Sea stranding response training already provided by TUDAV in Turkey, with their Dolphin, Porpoise and Monk Seal models which we have made for them previously. 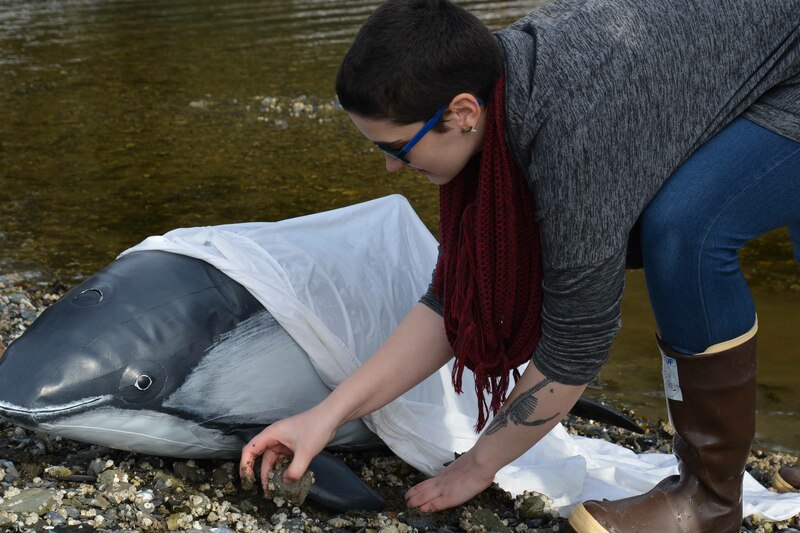 Marine mammals in the Black Sea are seriously endangered, and hopefully we can make more training creatures for other ngos working in the countries bordering the Black Sea, so that greater awareness can lead to better protection measures. 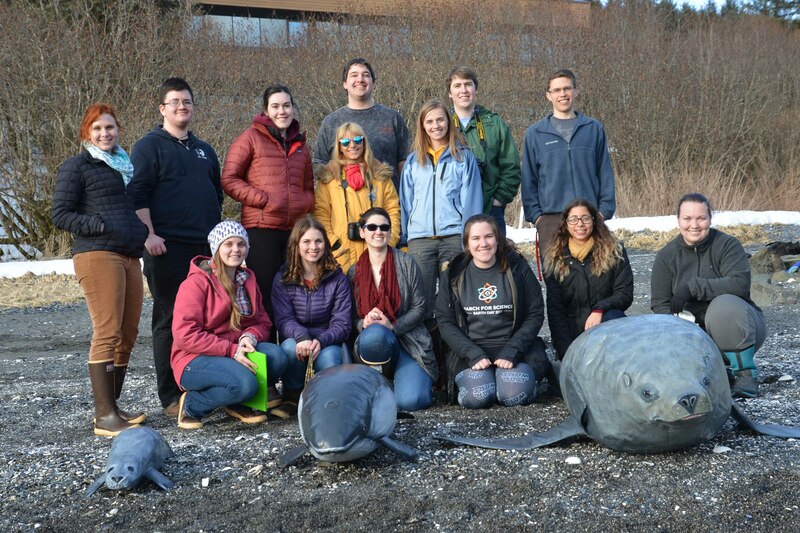 Previous orders include four Seals and a Dolphin for a University in Essex, UK, and a trio for a Marine Biology Department at The University of Alaska in Juneau , Alaska, including a Steller's Sea Lion, which will be used to train students in stranding responses, and in taking accurate morphological measurements of stranding casualties. Another order was for 4 seal pups for BDMLR, to replace ones made 10 years ago. 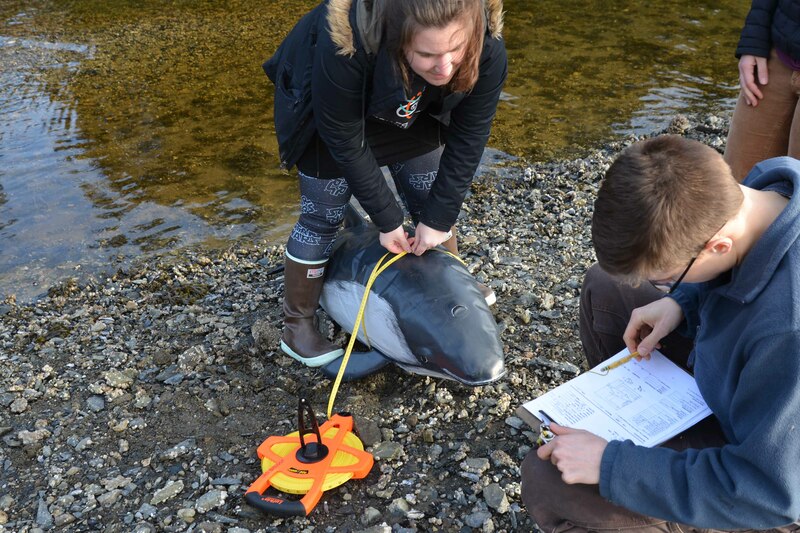 These have worked hard at hundreds of Marine Mammal Medic Courses around UK and overseas, and the new ones will enable the old pups to "be retired", as well as serving as new "Seal Ambassadors" on UK and overseas BDMLR courses. All the rescue training creatures feature the same attention to detail as the air filled ones , and the hand-built quality that makes them "sought after" worldwide, and still working years after being made. You cannot beat quality. "The Critters" line up with the students and Professor Heidi Pearson in the centre. This was the students' favourite part of the semester !